Programming is my life | I like programming and share questions, tips. Release date of Windows 10, July 29, 2015, is getting closer. Yet I haven’t decided yet whether I want to change the usual Windows 7 to the new Windows 10. By the way, Microsoft offers free upgrade from Windows 7 SP1 and Windows 8.1 to Windows 10. 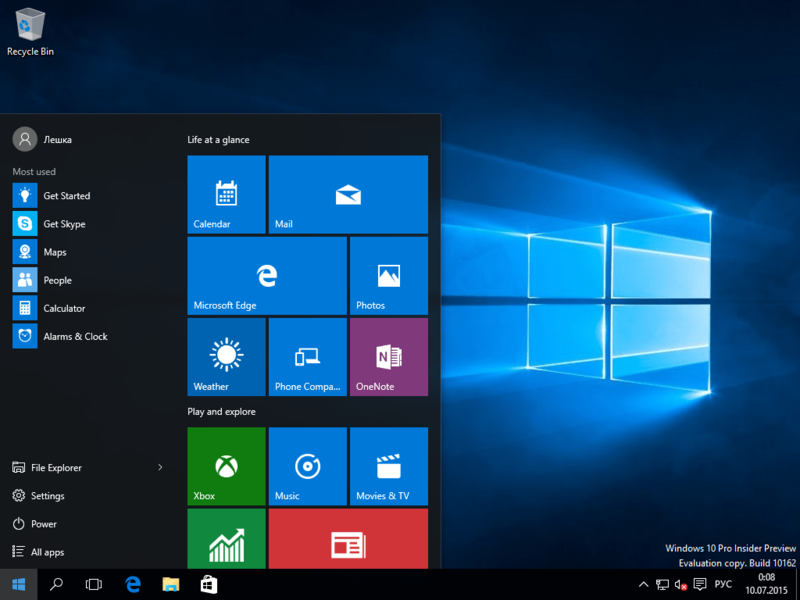 To experience the new OS better, I installed Windows 10 on desktop, more powerful than laptop. I used Windows 7 on this desktop since its release on October 22, 2009. It took about 20 minutes to install Windows 10 build 10162 on the desktop, and about 10 minutes more to prepare the system for the first start. Bonus question: Does the computation occur in run-time or compile-time? Good Answer: Does Windows carriage return \r\n consist of two characters or one character? This badge is awarded answers which have score of 25 or more. And my answer to question Does Windows carriage return \r\n consist of two characters or one character? has reached 25 upvotes. Two characters combined represent a new line on Windows. Whereas on Linux, \n represents new line. It moves cursor to the start of new line on Linux. On Windows, the cursor will stay at the same column in the console but on the next line. \r on Linux has the same effect as on Windows: moves cursor to the start of the line. It is possible to print different information on the same line where \r is used instead of \n. After living for three years in “eternal” DST, on October 26, 2014, Russia will turn the clock 1 hour back to the standard, or winter, time. Operating systems installed the corresponding updates. The time zone changed to UTC+3, and its title has RTZ 2 specification in parenthesis. 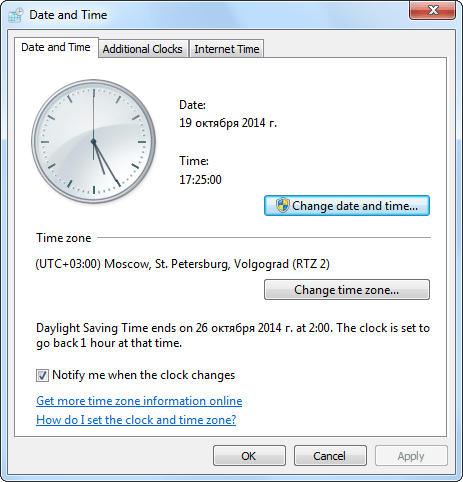 Windows 7 notifies: Daylight Saving Time ends on October 26, 2014 at 2:00. The clock is set to go back 1 hour at that time. Nothing fancy! Just to save it. It would be awesome if such a script updated the year automatically. How often do you change themes in Windows? Especially how often do you switch from visual stylesenabled theme (Aero or Basic, XP style) to classic one. Please leave your answers in comments.